Inspired by Dante Alighieri's 1320 poem Divine Comedy, considered to be one of the greatest works of world literature, each piece of Rosh Mahtani jewellery corresponds to one of the poet's 100 poems. As the pilgrim journeys through the realms of Hell, Purgatory, and Paradise, Dante encounters mythical creatures, scraggy landscapes, and terrifying demons. Lost Dreamer collection infiltrates the role of dreams to escape from the surreal nightmare of reality. Dante uses art, music and storytelling as a form of conscious survival. He is the narrator and character in the poem, putting himself in nightmarish scenarios such as waking up in a middle of a dark forest and encountering monsters so terrifying that he writes himself out of it. Sometimes the dream is magical verging on a mirage, with surreal concoction of haunting imagery and his own version of relentless hell, which causes him to lose consciousness. The line between reality and dreaming is blurred. 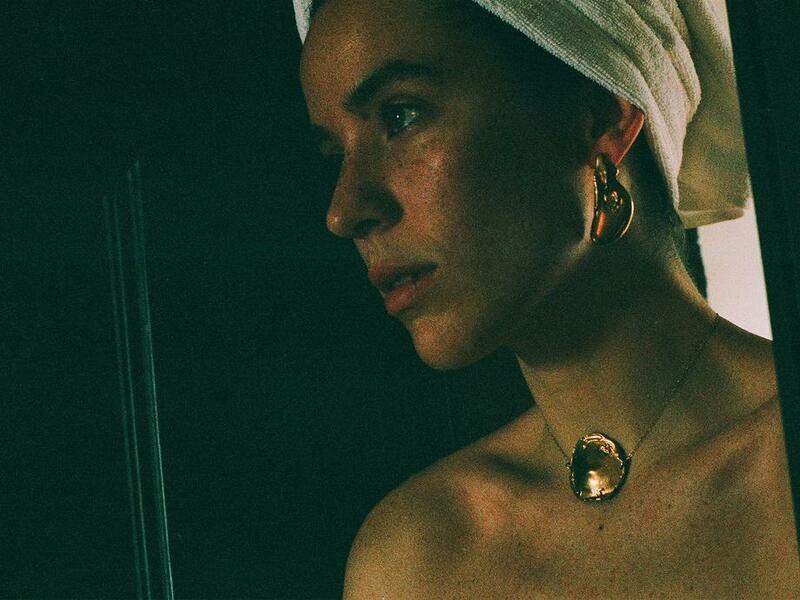 The Surreal Betrayal earrings is influenced by his odyssey where characters are wrapped in liquefied gold. Like Dante's subjects, the earrings are battered, imperfect and melancholy, reflecting on the story of his ordeal. Labels: Alighieri, earrings, Independent Jewellery Designer, Rock it!